I started work as an apprentice draughtsman at the Standard Motor Co in January 1959. I still have my indentures! The apprentices training school was at Banner Lane. There was a classroom and a workshop. The workshop also employed disabled war veterans These men would instruct apprentices on machine operation. They also used the machines to produce tractor parts like wheel nuts and linkage levers. The apprentice supervisor was Bill Price, the classroom instructor, Eddie Bishop and the workshop instructor, Ernie Murray. I moved from the training school to the Planning department at Banner Lane under Ken Clarke. I remember when the Triumph Herald was announced everyone received a weeks wages as a bonus. About the the same time the Banner Lane factory was being transferred to Massey Ferguson management and each employee, including apprentices was given a letter informing them that they either worked for The Standard Motor Co (1959) Ltd or The Standard Tractor Co (1959) Ltd. Standard Tractor employees were transferred to Massey Ferguson. My letter said Standard Motor Co so I was moved first to Canley Planning and then to Fletch North after Massey Ferguson moved out. The apprentices training school also had to move from Banner Lane and was relocated to Radford. The apprentice supervisor was now Bill Price, the classroom instructor still Eddie Bishop and the workshop supervisor Mike Grady. It was only there for about three years when it moved to bigger premises at Tile Hill. I also moved to Radford to work in the maintenance department under Ted Prior and Tommy Kay. I also worked in other departments during my apprenticeship which sometimes seemed unconnected from my eventual job. Some departments were to give you an overview of the company others just needed labour for a rush job! These departments included, Safety office under Cyril Young, Dealer Development with Bob Overy and Architects with Jack Stockman. Apprentices were required to keep fit and to do an an hour a week training before work. At Canley this was mainly running round the sports field but at Radford we had to run through the streets to the disused Radford Aerodrome and run around that. The PTI was Gordon Parham, then when he moved to personnel, Terry Smythe took over. Eventually, in 1964, I moved back to Fletch North where I finished my time and became a planning engineer under Bill Potts. The company also thought it important to send apprentices on developmental courses. 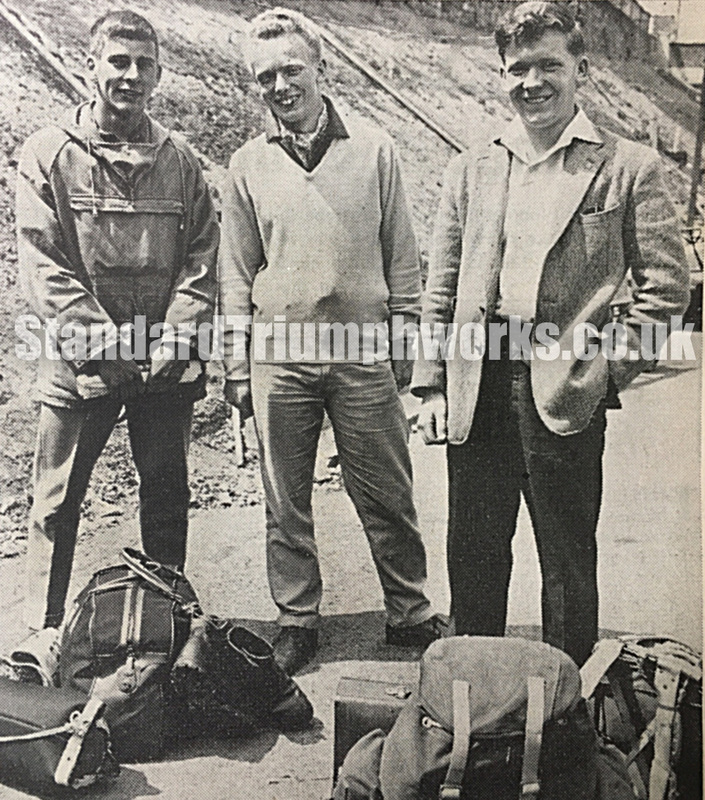 I was lucky enough to be chosen, along with Bill Eve and Terry Elliot, to go on a month’s Outward Bound course in 1961. I also did a month’s student exchange with Trevor Worthington to Volkswagen in Germany which included my first plane flight. Perhaps my greatest honour was to be chosen as Apprentice of the Year in 1962/3. Previous PostPrevious Put That Light Out!